The Cree Nation government is moving to restrict the caribou harvest in an effort to protect the George River and Leaf River herds. The Cree Nation Government has voted in favour of a ban on Cree hunters harvesting caribou from the George River herd, whose numbers have seen a decline of 99 per cent since 2001. A resolution to limit the Cree hunt of the herd, which is down to just 5,500 caribou, passed unanimously last week at a regular council board meeting of the Grand Council of the Crees/Cree Nation Government in Matagami, Que., including community chiefs. "We are concerned about current harvesting still occurring with this herd," said Nadia Saganash, wildlife administrator for the Cree Nation Government. Saganash says when populations reach such critically low levels the "genetic fitness and diversity" of the herd is reduced and it becomes less able to adapt to environmental stresses and changes. "Let the population rest and replenish and build its strength again," said Saganash. 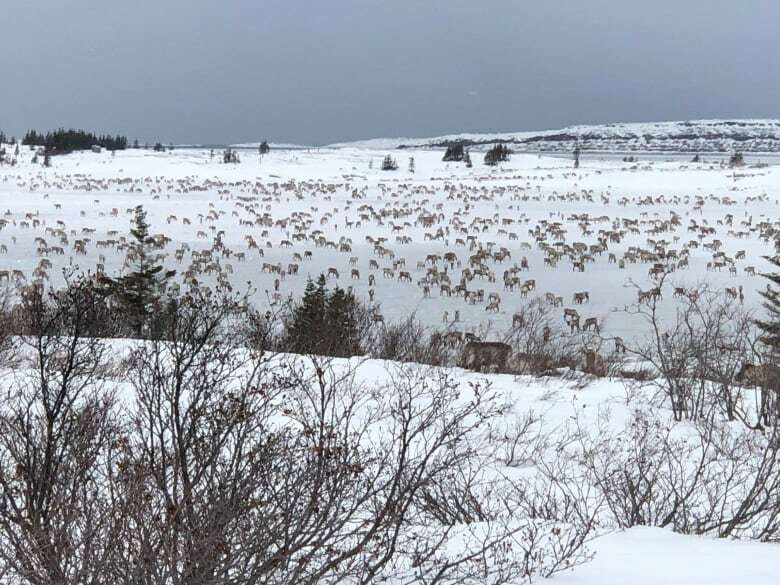 In reality, the measure is not likely to impact Cree hunters too much, as the George River herd is down to so few animals, its normal range is greatly reduced and is now concentrated mostly in Labrador, says Saganash. The Cree Nation Government also passed a second resolution last week condemning what it calls "unauthorized" hunting of the second herd of caribou in Quebec — the Leaf River herd — by other Indigenous groups on Cree territory. 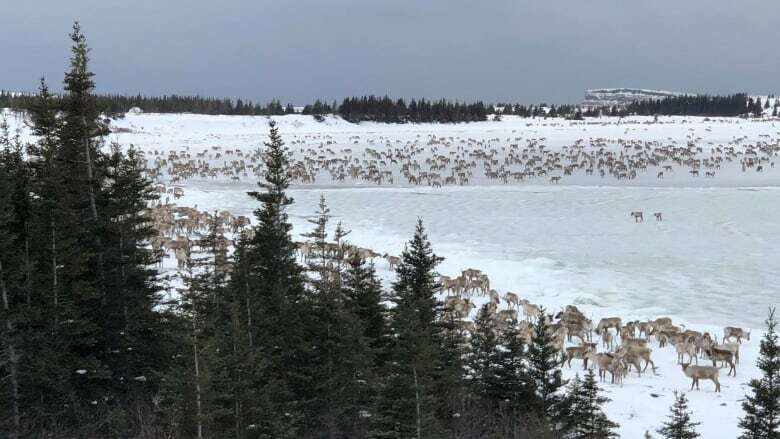 According to Quebec government statistics, the population of the Leaf River herd dropped by around 70 per cent between 2000 and 2016 down to 181,000, before rebounding slightly in 2017 to just over 209,000 caribou as of February 2018. Saganash says the Cree are still concerned that increased pressure from outside Indigenous hunters will put the Leaf River herd at risk for future generations of Cree, Inuit and Naskapi who have benefits under the James Bay and Northern Quebec Agreement. "I know that a lot of Aboriginal nations are also relying on this population because of the scarcity of the George River herd," said Saganash, saying non-beneficiary hunters are increasingly coming from Labrador and elsewhere to harvest in Cree territory with the help of local Cree, Inuit or Naskapi guides. The resolution says "unauthorized guiding" activities have to end to protect the Leaf River herd for future generations. "We want to have the population to stabilize so we can continue a small harvest on this population." All of this comes as several Innu were stopped by Quebec provincial police from bringing harvested caribou from Quebec to Labrador last week. 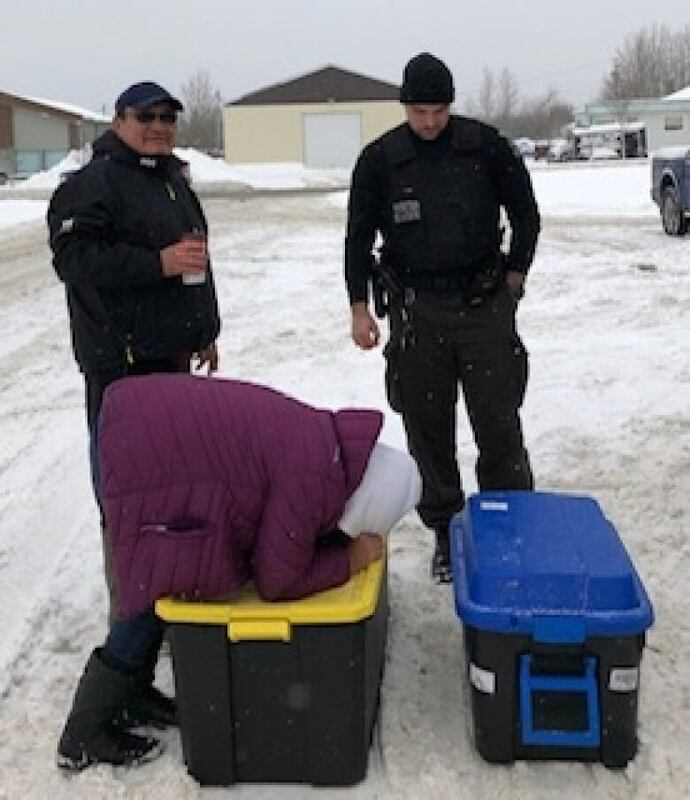 The officers seized the caribou Tuesday afternoon and fined the group, including Innu Nation Grand Chief Gregory Rich. The Innu say they had a letter from the chief of Chisasibi showing the caribou had been given to them as a gift and are considering taking the matter to court. According to a statement issued by Quebec's wildlife ministry on Monday, the area in question falls under the James Bay and Northern Quebec Agreement, which protects the hunting rights of the Cree, Inuit and Naskapi beneficiaries. Saganash says the tradition of sharing and gifting has always been a part of Indigenous "core" values, but too much is happening right now under the radar and without clear guidelines and limits. "We want guidelines in place so there's no abuse of this practice. This is especially important when the resources are low or depleting," said Saganash. The Grand Chief of the Cree Nation, Abel Bosum, says he would like to see "nation to nation" agreements with other First Nations about managing caribou and harvesting wildlife. "We know that people are feeling pressured because they are hoping to get some caribou for Christmas," said Bosum. "We need to sit down together and talk. Once we have an agreement in place, then we can negotiate with Quebec and Canada." Saganash says she is confident the conservation message will be adhered to. "Our hunters are wise enough to adopt conservation measures," said Saganash. "Because ultimately they are the ones that will be most impacted by the decrease."